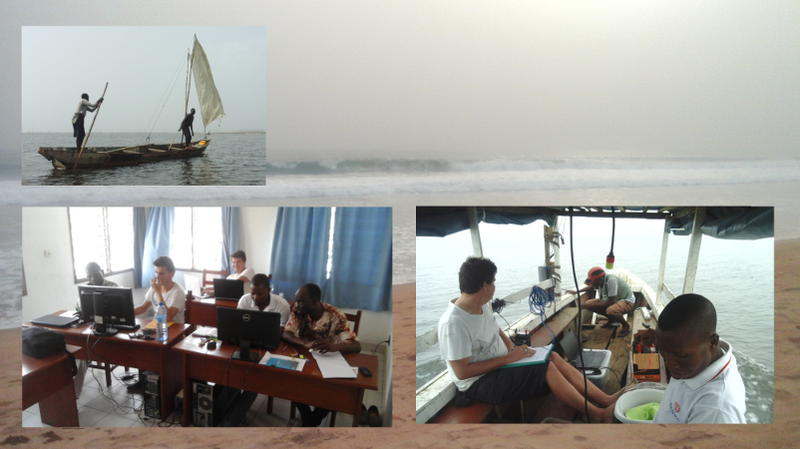 A SYMPHONIE ocean model training was held from December 11 to 23, 2017, at the Institut des Recherches Halieutiques et Océanographique du Bénin(IRHOB), in Cotonou (Benin). The training was organized by IRD and LA. It involved researchers from France and Benin. The objective was to build skills in ocean modelling: installation of the code, compilation, execution, building a new grid, implement forcings. The domain of interest was the system of the coastal Lake (Nokoue north to Cotonou) and its interaction with the ocean. The goal is to study the seasonal cycle of the salinity and circulation in the lake submitted to the salt water income during the dry season and the fresh water discharge flooding the area during the monsoon.